This post was done in partnership with Wirecutter. When readers choose to buy Wirecutter’s independently chosen editorial picks, Wirecutter and Engadget may earn affiliate commission. Read the full Qi wireless charging power banks guide here. 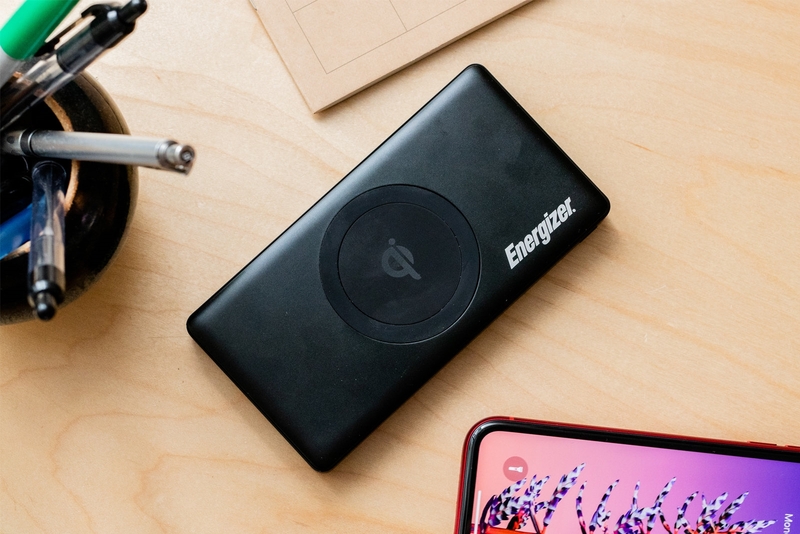 After testing nine competitors over 10 hours, we’re confident that Energizer’s QE10000CQ 10K Wireless Charging Power Bank is the best all-in-one option for anyone looking for the convenience of a Qi wireless charger at a desk and the portability of a power bank on the go. It also has the fastest ports, and you can charge two devices and the battery itself at the same time. The Energizer QE10000CQ offers better grip on its wireless charging surface than the competition, ensuring that your phone stays in place and keeps charging. It has roughly the same footprint as an iPhone XS but measures about twice as thick, and it’s equipped with the best combination of charging options we could find: two USB-A ports (one of which supports Quick Charge 3.0 charging), a Micro-USB input, and a USB-C port for both input and output. (You can fast-charge supported devices through the USB-C port if you have the right cable.) It can fully charge most phones three times before needing to be recharged itself; that’s as much battery capacity as we saw from any Qi power bank available during our testing period. myCharge’s Unplugged 5K is a good option if you prefer a small, inexpensive charger and are willing to make a few sacrifices. It’s more affordable than the Energizer but has half the battery capacity (most phones can get about one and a half to two full charges from this myCharge model). In our tests, the Unplugged 5K wirelessly charged just as quickly as the Energizer, getting a fully drained phone to about 30 percent after an hour. Through the two USB-A output ports, you can expect charging speeds at least twice as fast as with wireless charging, but the unit doesn’t offer a USB-C port for even faster charging than that. The white plastic body flexes when you press against it, and this power bank has less grip for keeping your phone in place. I’ve been reviewing mobile accessories for Wirecutter for more than four years, and before that, for more than three years as accessories editor at iLounge. During my tenure there, I reviewed more than 1,000 products, including early wireless-charging devices going back to 2014. I’m also the author of Wirecutter’s guides to Qi chargers, multiport USB wall chargers, and car chargers, for which I’ve seen and tested pretty much every charging variation out there. A power bank is useful if your phone runs out of battery during the day or if you often worry that it might, because the charger can provide backup juice to keep your phone up and running at any time. And these Qi-enabled power banks do double-duty: Each has some combination of USB outputs but can also wirelessly charge a compatible phone. Choosing one of these power banks means you don’t need to buy two dedicated charging accessories. The most practical way to use one of these devices is as a replacement for a Qi wireless charger at your desk or bedside and a power bank on the go. Keep the charger plugged in and your phone on top of it when you’re stationary, and then take the power bank along with your phone when you’re ready to leave. From there you can connect your phone to the charger with a cable when you need extra power—or, as a low-tech solution, use a rubber band to hold your phone on the wireless pad. Like all wireless chargers, Qi power banks work with most protective phone cases but not super-bulky ones or those with magnets. 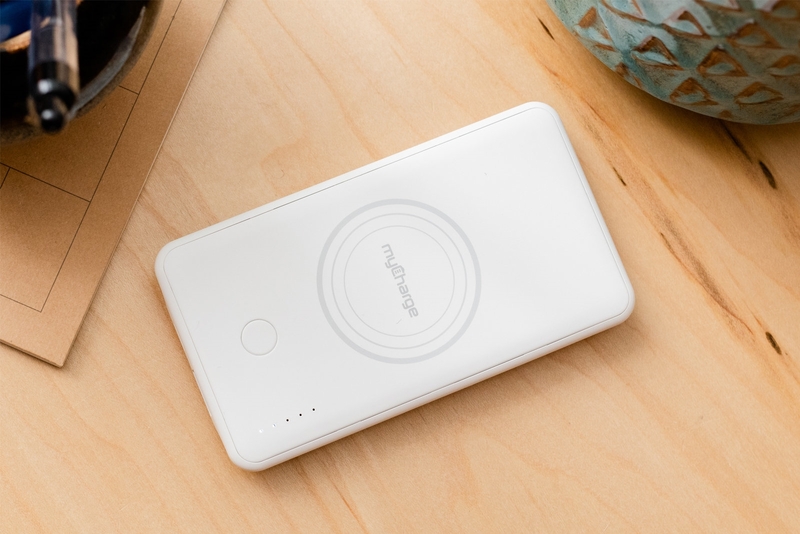 To find the best wireless power bank, we combined the criteria we’ve previously used for Qi wireless chargers, such as charging speed and standards certification, and portable power banks, including charging ports and battery capacity. But because so few wireless power banks are available, we couldn’t be too picky on some of these criteria. 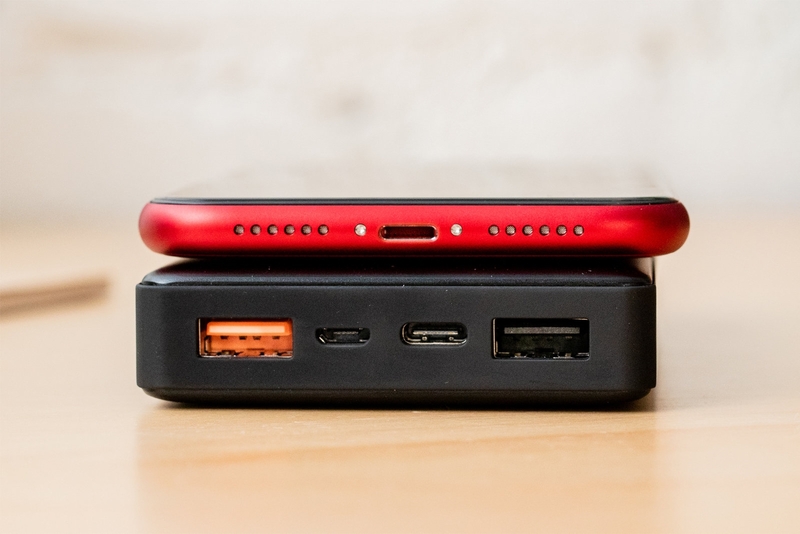 Design: This criterion includes not only how well the power bank is built, how it looks, and how big it is (all things being equal, we prefer smaller, more compact chargers), but also how grippy its surface is for holding a phone in place. A grippy surface helps keep your phone aligned just right on the charger, and physical alignment is important for wireless charging. Thin coils inside the charger and phone transmit and receive power when you place them next to each other, but if they get out of line, the connection may break and your phone won’t charge. Ports: We considered the number of ports on each power bank (more ports are better), the kind of ports, and their capabilities. Each power bank in our test group had at least one USB-A out port, but we valued those with faster output (including 12-watt charging and Quick Charge 3.0) more highly than those limited to 5- or 10-watt charging. 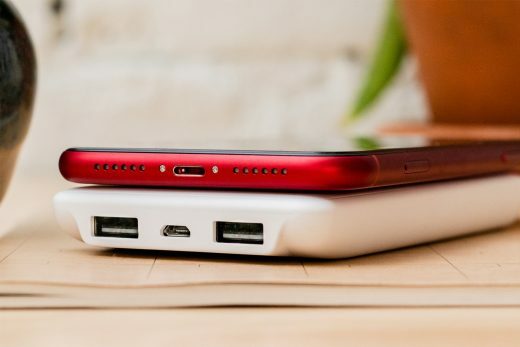 We also preferred power banks with USB-C ports that supported both power in and power out; some can work only to charge the power bank itself, not your phone. Wireless charging speed: Our tests have shown that the output level has little impact on how quickly most phones charge; you don’t get a much faster charge from a higher-wattage charger. So although we tested for charging speed, the differences between individual units weren’t very important. We just wanted to make sure nothing performed below expectations. Safety-standard compliance: Being certified by the Wireless Power Consortium means that a charger has been tested in an authorized lab and found to be both safe and in compliance with the Qi standard. If a wireless charger isn’t certified, that doesn’t necessarily mean that it’s unsafe or noncompliant, but choosing something that has been verified is prudent. Capacity and value: Although we weren’t looking for the absolute largest-capacity power bank, more power is always better. This is especially true when it comes at a good price. Maker reputation: We considered models only from companies that we knew from past experience had a good reputation for warranty coverage and customer support. Even if a charger is WPC certified, there’s no guarantee it will never have a problem, and help should be available if you need that. We then tested both the wireless and wired charging capabilities of each. Wireless charging: We tested wireless charging output from each power bank by placing a fully drained iPhone XR, in airplane mode, on the charging pad and measuring the charge level after 30 minutes and one hour. This step gave us a good sense of how much charge you’ll get in situations where you’re not at your desk all day. Any Qi charger can fully power a phone after a few hours or overnight. Wired charging: We made sure our picks’ ports lived up to their claimed power output by plugging in a power monitor and then connecting an iPad (6th generation) to test USB-A. For USB-C, we connected each power bank to a MacBook Pro and confirmed the reported figures in the computer’s system report, which indicates the power of the connected battery. If you want a device that can both wirelessly charge your phone and provide backup power on the go, the best choice is Energizer’s QE10000CQ 10K Wireless Charging Power Bank. 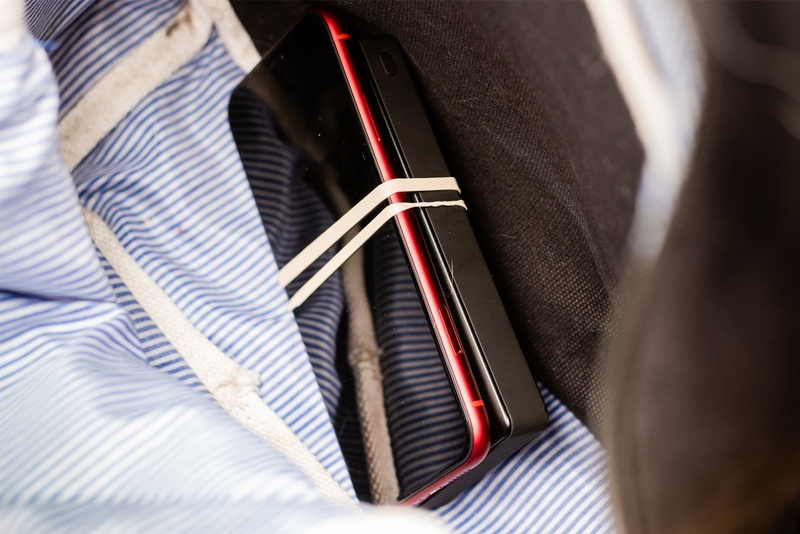 In our tests it wirelessly charged devices as quickly as any other Qi-enabled battery pack we tried. Among the four highest-capacity models we considered, it has the best selection of charging ports, including USB-C for fast-charging compatible devices. The metal and plastic body is higher quality than what we saw from the competition, and the surface offers better grip to help your phone stay in place on the charging pad. 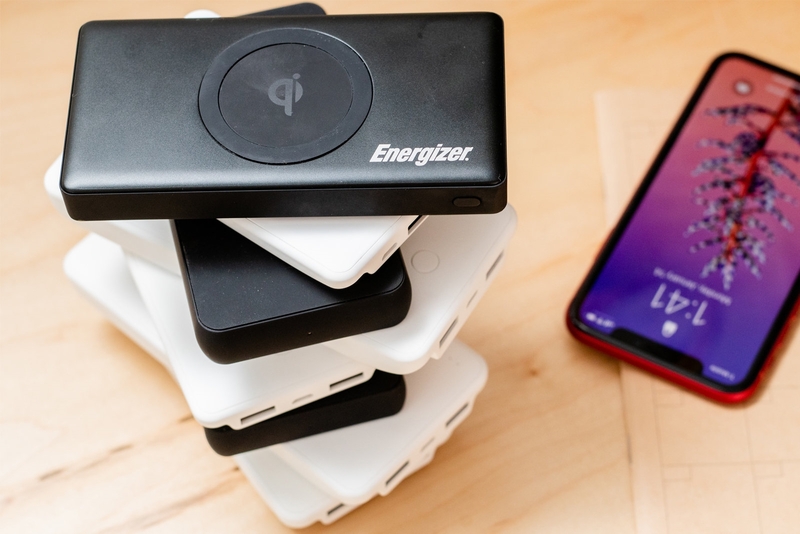 Every Qi power bank we tested, including the QE10000CQ, provided roughly the same amount of charge in our wireless charging tests. Energizer’s pack brought our fully depleted iPhone XR to 13 percent after half an hour and 26 percent in one hour. That’s typical for dedicated Qi chargers, but far slower charging than you can get with a wired fast charger. Wireless charging is more about convenience than speed, and these devices are no exception; wireless is best suited for when you’re at a desk and want to be able to pick up your phone quickly, or for overnight charging, when the time to charge isn’t as important. One of this power bank’s greatest strengths is that it’s the only WPC-certified model we found that offers a USB-C port in addition to a Micro-USB port and a pair of standard USB-A ports. Most wireless power banks don’t have a second USB-A port or any USB-C port; some that do have USB-C use that port only for charging input, not output. With both 15 W and 18 W charging levels, the QE10000CQ’s USB-C port can fast-charge a current-generation iPhone (provided you have the right cable), top off Android phones such as the Pixel 3, and even match the iPad Pro’s included charger. Judging from our testing with Apple’s USB-C to Lightning Cable, an iPhone XR reaches about 56 percent after half an hour and 86 percent after an hour, compared with the 26 percent you get with wireless charging. The USB-C port also supports charging input, repowering the power bank almost twice as fast as Micro-USB. 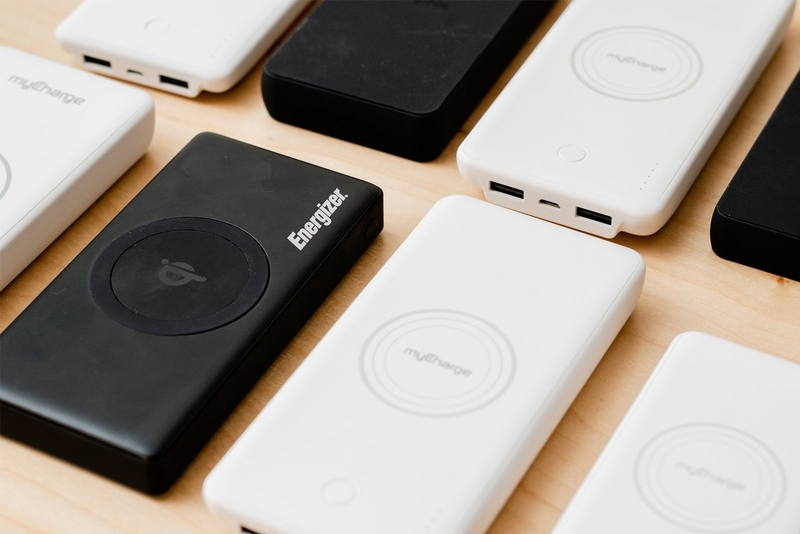 The Energizer power bank feels much more solid than the competition. Metal on the top and bottom sandwiches a rubberized plastic frame, giving the QE10000CQ a solid, durable feel. Whereas everything else we tested is made of plastic and has some give when you push on the top, the Energizer takes an unnatural amount of pressure on the top before you can feel it give way even a little. This power bank feels like it will last longer than the competition and stand up better to being tossed in a bag, and it seems ready to endure other day-to-day tortures you might put phone accessories through. Since your phone and the charging pad have to be aligned properly for the power to flow, we like that Energizer’s power bank has a raised rubber ring in the center that provides some grip and secures the orientation. However, the ring is higher along the long edges of the battery pack and otherwise closer to flush along the narrower edges, so for the best grip you should align your phone perpendicular to the power bank; that positioning isn’t intuitive, but it works best. The power button and battery indicator lights are on the side of the pack, not the top, where the phone might cover them. One thing to keep in mind is that charging wirelessly on the go is highly impractical, as the QE10000CQ doesn’t have any way to secure itself to your phone or your phone to it. So although you could use a rubber band to keep the two together, we think you’re better off using a cable if you’re trying to charge your phone in a bag or a jacket pocket. You’ll get a more reliable charge, and it’ll be faster, too. The QE10000CQ contains a 10,000 mAh (37 Wh) battery. That should be enough to recharge the iPhone XR’s 11.12 Wh battery a little more than three times. 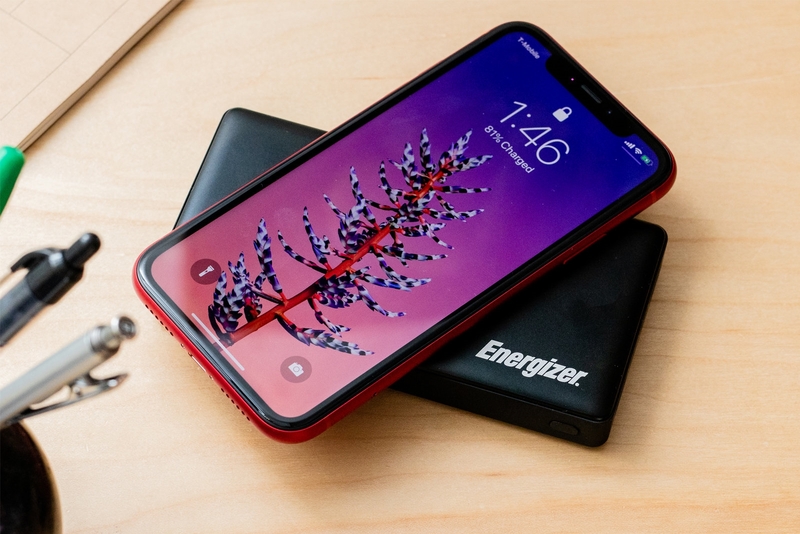 Since most other phones have smaller batteries than the iPhone XR, Energizer’s power bank should keep most people’s phones going for a weekend away or longer. Energizer offers a one-year warranty plus a Web form for support. We received a response within 12 hours of sending a support ticket, a little faster than we’ve come to expect from online support requests for phone accessories. In our tests with a USB power monitor, we noticed that the QE10000CQ’s non–Quick Charge port didn’t charge an iPhone as fast as we expected; a test with a dedicated power analyzer showed that it supported the proper power profile and would work fine with non-Apple devices. The Quick Charge port, on the other hand, was able to deliver the full 12 W to our iPhone XR. Either way, you have at least one port that can charge an iPhone at the fastest rate USB-A can, plus USB-C, which still puts the Energizer power bank above the competition. myCharge’s Unplugged 5K is the best option if you don’t need to carry as much power and if you’re willing to give up a faster charging port and better build quality to save money. This model wirelessly charged as quickly as the Energizer QE10000CQ in our tests, and it weighs less. But it offers less grip to keep a phone in the right spot on the wireless charging pad. 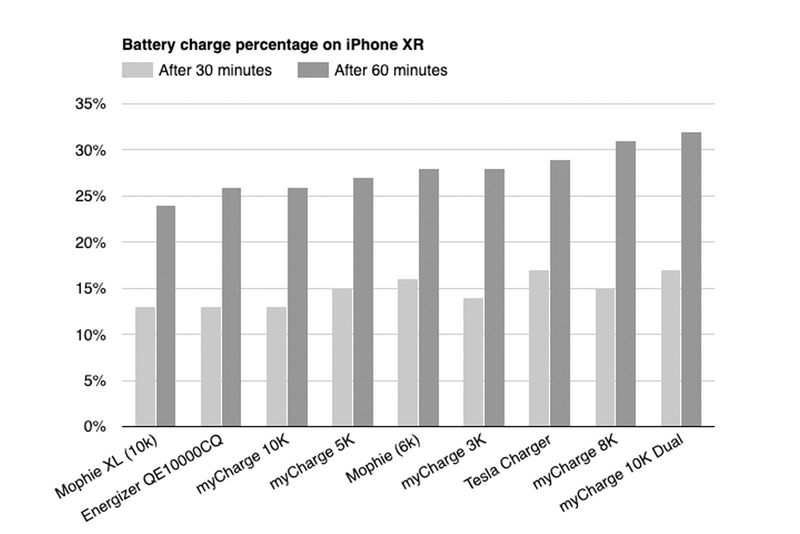 In our tests, the Unplugged 5K wirelessly charged just as fast as the QE10000CQ, bringing the iPhone XR’s battery to 15 percent of capacity after 30 minutes and 27 percent after 60 minutes. But its wired inputs and outputs are more limited. This pack’s battery recharges at speeds that are about 30 percent slower than those of the Energizer power bank because of the type of port it uses (Micro-USB versus USB-C). And for output, it has two USB-A ports but no USB-C option, meaning you can’t get the fastest charging speeds some devices support. As with the Energizer, on this myCharge model the USB-A ports didn’t put out the advertised rates when we tested with our iPhone. Your iPhone may not charge at its absolute fastest rate when plugged in through USB, but it won’t be sluggish, either. We wish the Unplugged 5K and the rest of the myCharge lineup felt more solid. On each model the plastic body easily flexes with slight pressure. The chassis didn’t break during our testing, but the Unplugged 5K simply doesn’t feel like a premium product. And although the plastic has a rubberized finish, it doesn’t keep a phone in place on the wireless charging pad as well as the surface of the QE10000CQ. Regardless, with both power banks you’re better off positioning your phone perpendicular to them; if you don’t, the phone’s camera bump, combined with the slick surface, can cause the phone to slide out of place and stop charging. 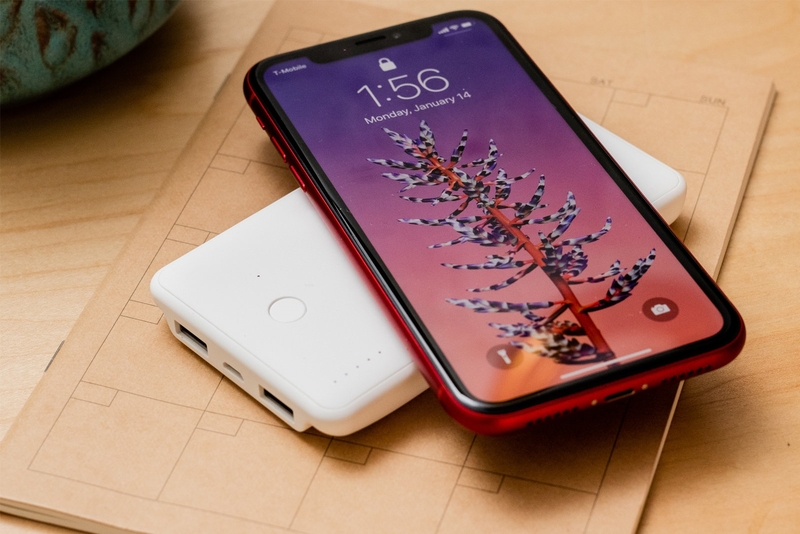 The Unplugged 5K houses a 5,000 mAh / 18.5 Wh battery, which should charge an iPhone XR about one and a half times. myCharge offers a one-year warranty, and we received a response to our anonymous troubleshooting request email within three hours. We’ll test Griffin’s Reserve Wireless Charging Power Bank when it’s released in the first quarter of 2019. This power bank offers the same battery capacity as the Unplugged 5K, but it appears to have a more solid design and might compete as a budget pick. myCharge’s Unplugged 8K (29.6 Wh), Unplugged 10K (37 Wh), and Unplugged 10K Dual (37 Wh) each offer more capacity than the myCharge Unplugged 5K, and all have the same larger size and shape, about the same size as the iPhone XS but twice as thick. They offer limited charging ports compared with the Energizer QE10000CQ, as they’re equipped with only Micro-USB in and two USB-A ports with a combined 12-watt output. These power banks’ surfaces don’t offer any sort of grip, so your phone could easily slide out of place and stop charging, and the power button is inconveniently located on the charging face. myCharge’s Unplugged 3K (11.1 Wh) isn’t as good of a value as the 5,000 mAh version, but it is a good choice if you value the smallest power bank with Qi output. It should just fully charge a depleted iPhone XR. Mophie’s Charge Stream Powerstation Wireless (22.9 Wh), Charge Stream Powerstation XL Wireless (38 Wh), and Charge Stream Powerstation Wireless XL With Lightning Connector (38 Wh) are all expensive for what you get, and although the first two each have a USB-C port, it’s for input only, and those models are limited to 12 W USB-A charging output. The third version, with Lightning input, may be valuable if you’re immersed in the Apple ecosystem and you want to use the same cable to charge all your gear. Zens’s Wireless Phone Charger Power Bank offers one of the lowest values of the power banks we researched, with a mAh-to-hour ratio that’s less than half that of the Energizer QE10000CQ. Tesla’s Wireless Phone Charger (22.2 Wh) has only two ports: one USB-A and one USB-C. The included cable connects the two and conveniently wraps around the power bank’s perimeter, but the ports are deeply recessed, which makes plugging cables in all the way more difficult. Odoyo’s Wireless Charging Dock and Portable Battery Pack has a clever design, bundling a 5,000 mAh (18.5 Wh) power bank with a charging stand. But it’s available only directly from Odoyo’s website, and shipping almost doubles the price, making this model more expensive than anything else we considered.